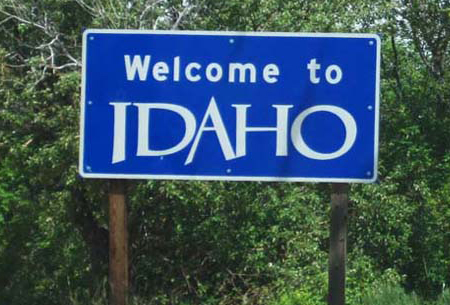 BOISE, Idaho — Majority Republicans again have poured cold water on Democrats’ hopes of including protections for Idaho’s gay and lesbian residents in state law. Rep. Grant Burgoyne, D-Boise, said Friday he had been informed by House and Senate Republicans that they would block the proposal from reaching a hearing. For eight years, Democrats have sought to include “gender identity” and “sexual orientation” in the Idaho Human Rights Act, which bars discrimination based on race, gender, religion, national origin and disability. This year, Republicans who control 81 percent of the House and Senate say federal court challenges to gay-marriage bans in states including Idaho make this a bad time to tackle issues they say are related. Democrats say Republicans are dragging their feet on the “Add the Words” campaign. Currently, there is nothing in Idaho statute that would prevent a citizen from being fired or blocked from buying or renting a home based on his or her sexual orientation. There’s no federal law offering specific workplace protections based on sexual orientation, either. Burgoyne and others at a news conference Friday vowed to continue to advocate for the proposal and push for a hearing. Others are already looking to next year’s fight. “I can promise you, if the Legislature doesn’t add the words this year, there will be a ninth year, and as many more years as we need to finally do the right thing and extend protections for LGBT Idahoans,” Add the Words spokeswoman Mistie Tolman said. Tolman believes popular opinion is on her side: Boise, Sandpoint, Ketchum, Coeur d’Alene, Pocatello, Idaho Falls and Moscow have all instituted sexual orientation-based protections for gay reside nts in the past few years. Still, Senate President Pro Tem Brent Hill, R-Rexburg, said he and other Republican leaders don’t believe the 2014 session is the appropriate time to schedule a hearing. For one, he said, there are court cases regarding equal protections for married gay couples pending in Oklahoma, Ohio and Utah, as well as Idaho. Idaho’s case involves four couples who sued last year to challenge Idaho’s ban on gay marriage and refusal to recognize unions conducted legally in 14 states that allow them. Though advocates for the change are targeting Idaho’s Human Rights Act for an update, “most of us feel their ultimate goal is the marriage issue,” Hill said. But American Civil Liberties Union of Idaho Executive Director Monica Hopkins said it is unfair to link protections for Idaho gays and lesbians to the mar riage cases still wending their way through court systems. “These are two completely different issues,” Hopkins said. She is unsure that Republicans will do an about-face on “Add the Words” even if Idaho’s marriage suit wraps up this year, Hopkins added. “They could have taken action on this for the past seven years, but haven’t,” she said. Sen. Cherie Buckner-Webb, D-Boise, also said she was dissatisfied with the majority’s refusal to budge. “Not holding a hearing and not allowing a vote is not acceptable,” Buckner-Webb said, adding that the lack of protections in effect made gay Idahoans second-class citizens. “We must protect all our citizens from discrimination: It’s the right thing to do” she said.